Edited by Salamandre at 15:54, 27 Jul 2016. Need Era 2.46 or more. An amazingly designed map is now even difficult, no longer rush in 3 months. A lot of things to do, beside crazy battles. 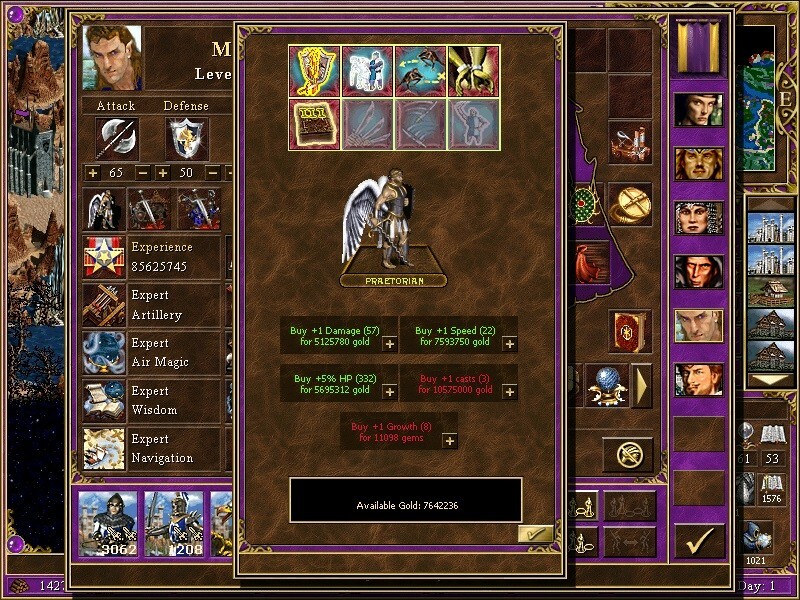 Available Heroes: Kyree, Deesa, Thane, Christian (from original) and Mulich. Have fun with. Estimated battle duration: 1 hour with Turbo mod (animations x 10) Several hours without it. You can hear it at 1:22. Hi Valery, does i have to disable secondary skill scroll in mod manager? 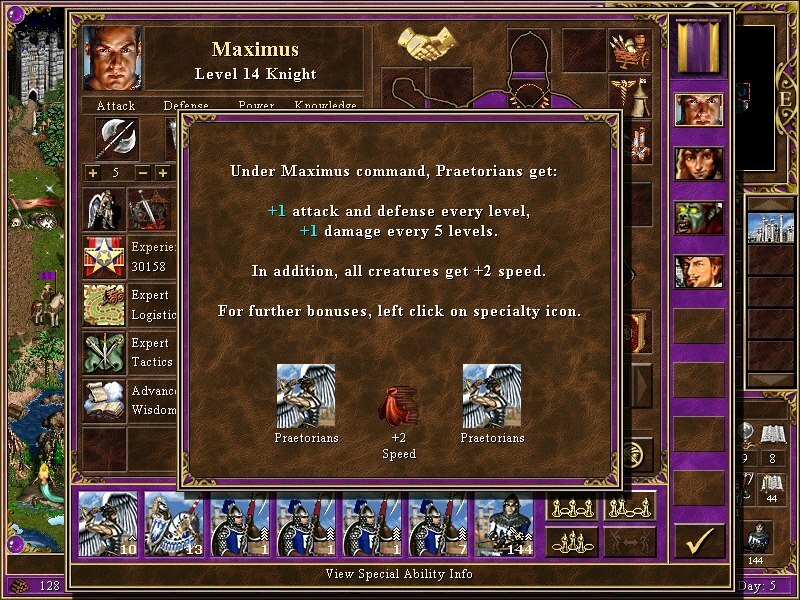 Maximus still has 12 skills and can not remove a skill with helm commander. 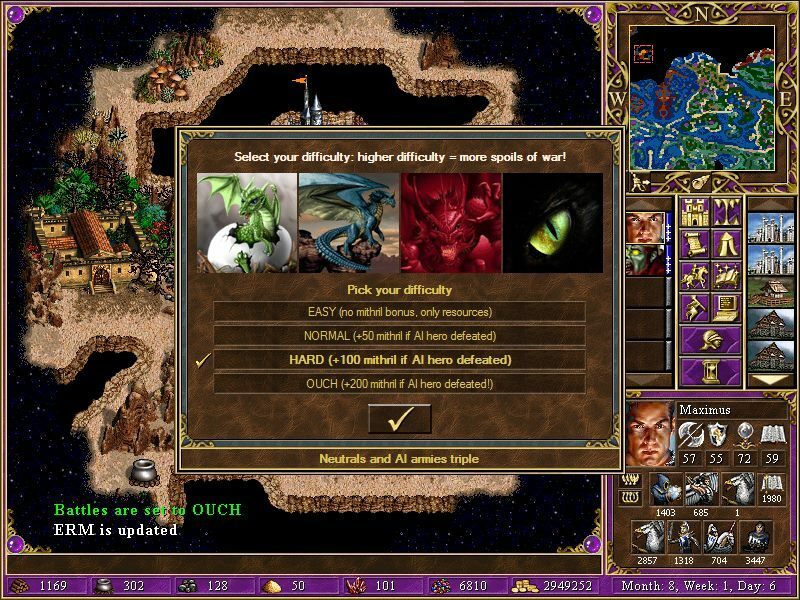 I installed era 2.7.7 from heroes 3 complete. Edited by Salamandre at 10:37, 13 Nov 2018. Yes, don't use that mod. Disable, then F12 so no need to restart. Already disable and have same result. I sent email to you about mod config. Can u check it? I think you forgot to press F12, always doit after changing mods configuration, as the saved game keeps old. Edited by tevez at 01:49, 15 Nov 2018. I pressed already, it noticed �erm is updated�, but no change. Hi valary, i started new game but it is still no change. 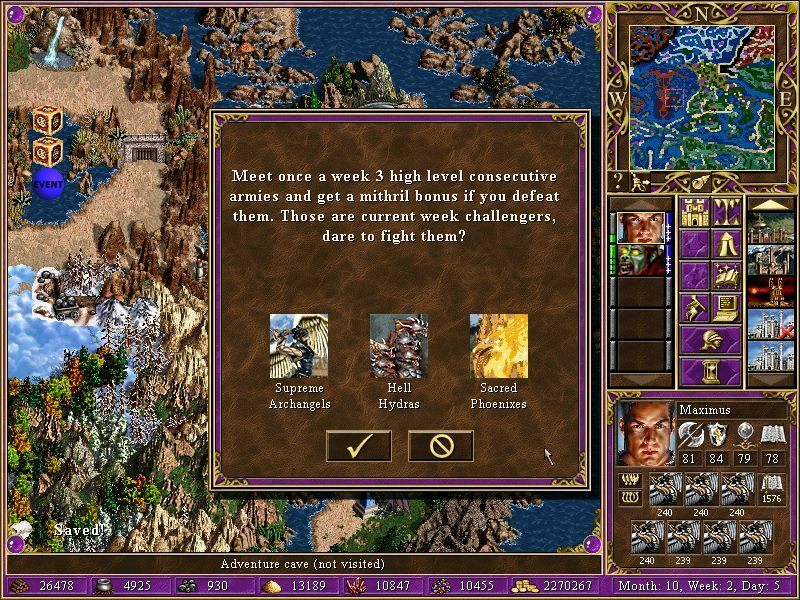 can you send me �save game edittor�, i want to change archery and learning to navigation and ballistic. after i installed trainer mod. nothing happened with current save game. press F2 it did not work. But, i started newgame, everything is ok ! now, Maximus can learn new skill! F2 and F12 are two diffirent keys. I knew. F2 that i told, is to active Mod Trainer. @Valery: Today i played new game. When attacking the Guard with hard mode. his Drawf's damage increase after each turn , 18 drawf made 300 damage to AA. Is this normal !!! Edited by tevez at 01:04, 20 Nov 2018. I killed 2 slots, but when damage reach 300, no way . i will capture the screen later. Only added trainer mode. Edited by tevez at 16:55, 20 Nov 2018.
mail sent. 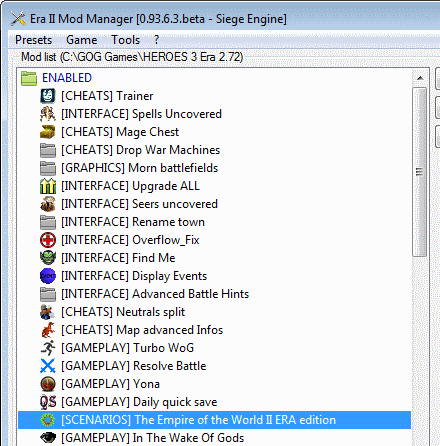 i only installed form heroes complete with era 2.7.7.